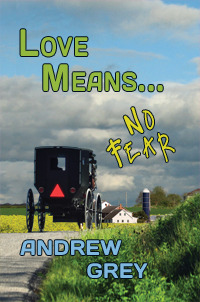 ❤ Comfort reads: Andrew Grey’s Farm Series (Love Means….) | Because two men are better than one! 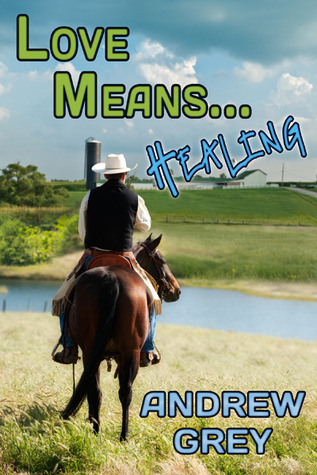 If you’re needing a comfort read, wanting something sweet and romantic, you can’t go past Andrew Grey and the Farm series fits the bill perfectly! One final recommendation…don’t read this series of books back-to-back. Best to take a little break between each installment so that they seem fresher. This was a nice gentle love story of two men who build a life together. After his wife dies, Cliff struggles to run his farm and raise his two year old son. Len, his wife’s best friend, comes to work for Cliff. Len is a truly caring man and works beyond the job he is employed for and helps Cliff turn things around. Len is openly gay but Cliff has always denied this side of himself. Although he did love his wife, eventually he realises he has strong feelings for Len. I particularly like the way this book dealt with toddler Geoff. This is the story of Geoff and Eli. Geoff has been living in the city and living it wild but he is dissatisfied with his life. When his father dies, this is the trigger for Geoff to return to the farm and start living a different way. 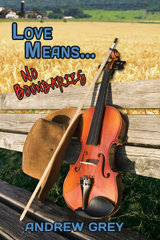 Eli is a young Amish man, spending a year away from his community, who comes to work on the farm. At first I found the character of Eli very childlike although I assume he was written this way to represent an inexperienced Amish man. This made it difficult to picture Eli and Geoff together early in the book. I thought that Geoff, asking Eli to specifically state what he wanted out of their relationship was a wonderful way of ensuring Eli was in control of all decisions and not being taken advantage of. “I’m telling you that you need to be sure. I know what I want. I really do, but I need to make sure you know what you want, because you are the one with the most to lose.” Communication between the two men was important as well as honesty (Geoff was very open about his past). This was a gentle story with a little bit of drama and focus on tolerance and acceptance and love. A lovely happy ending. 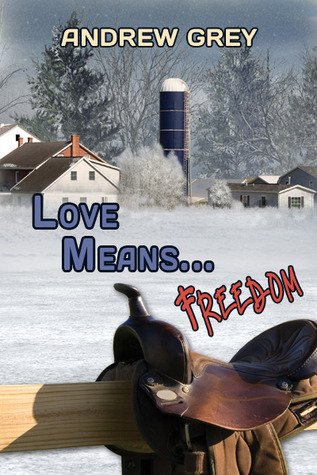 Check out the Love Means No Shame Book Trailer! There are also messages about the importance of what’s inside the heart rather than outward appearances and not allowing life’s challenges to limit you. Joey is dealing with physical scars and people’s reactions to them. He doesn’t feel worthy of love. Robbie, although a strong and independent man when initially at the farm, allows his blindness and his parent’s reaction to it, limit his options. Lovely messages, wonderful characters and a sweet, happy ending. Once again a sweet love story, this time featuring a young, somewhat arrogant man, falling for a younger man who has had an abusive past. Preston was injured in an accident and comes to the farm for some riding therapy. He is from a wealthy family and has only experienced shallow relationships not based on love. He gives his heart to Stone (unusual name!) and his love helps Stone move on from the trauma of abuse. This is another nice story about men trying to sort their lives out, determining what they really want and making decisions about their future. This time the story is about Raine (Geoff’s friend who works in finance and lives in the city) and Jonah (Eli’s brother, who arrives straight from the Amish community). The formula is the same as the other books. The men both have issues to sort out, they are very different to each other and in Raine’s case, Eli is very different to the types of men he has dated in the past. They feel immediate attraction which turns to love, they have big decisions to make, they separate, they come back together and live happily ever after. The other guys on the farm make appearances, being supportive and offering advice and words of wisdom. Although not overly original in plot, this is a series of books which is good to read when you are looking for a story where people have problems that are sorted out with the help of good friends and true love wins in the end. The main issue I had with this book was how Jonah was portrayed. He is meant to be innocent and not used to the world outside the Amish community but at times he appeared too childlike. For example, some situations where he ‘giggled’ just seemed too childish. This was a concern I also had with how Eli was originally portrayed. There is also a story line that had the potential to have some drama and excitement but seemed to fizzle out. This story, as the title suggests, is about healing. It deals with the subject of grief, telling the story of Len and new love Chris. Len is getting over losing Cliff after 20 years together and worries that he is moving on too quickly. It is a special story as it focuses on love the second time around and love between older couples, with Len and Chris being near 50. The only thing I found strange was the riding lesson that Len was giving Chris. He instructs him to mount the horse from the left hand side as you’re facing the horse.“Put your right foot in the stirrup, and swing you left leg over his back”. I might not be a country girl but have ridden before and always mounted from the horse’s left side, placing left foot in th stirrup first. Maybe we just do things differently in Australia? 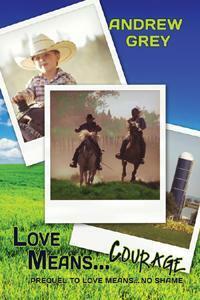 The Farm Series books are sweet stories of men finding love and having to make decisions for their future. This is another gentle story as Robbie’s friend Arie comes to stay for a few weeks on the farm. His love interest is Duane, the local Deputy. Not my favourite in the series as I was waiting for the ‘big moment’ which didn’t really seem to come. It was just a gentle acceptance by Arie that he wants to move to the farm permanently. One thing I found a bit strange in this book was the dog’s name. He was called Buster which was The same name as Stone’s horse in Love means..Freedom. Not sure why but this kept niggling at me. I intentionally chose to read this book. I had a craving for a sweet story following a known formula. However this book did not focus on a new couple, rather was about how busy and overworked Eli and Geoff were. Eli gets sick and this forces them to realise they need to take more time to themselves. Yes it was sweet but it was also a bit boring. 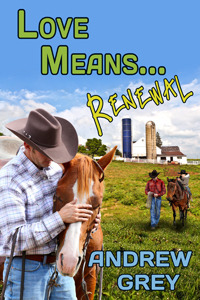 With the other books in the series, although following the same formula (men from different backgrounds meet, they are trying to sort out their own issues, they are attracted and get together, they have a misunderstanding or reason to part, the friends on the farm offer support and words of wisdom, they get back together…. ), there was a bit of story progression, some drama and character development. This story, although showing the strength of Eli and Geoff’s relationship after 9 years, just seemed a bit flat. Finally made it to the end of the series! After 9 books, I must say the original appeal of the series had started to wane. All the books are very sweet, with a cast of supportive characters who help each other through some tough moments in life. Of course, it’s finding true love that wins out in the end. 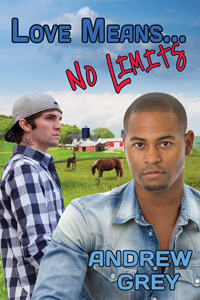 As per my reviews of earlier books in the series, each story follows pretty much the same formula – two men with issues/problems, meet and are attracted, trouble arises, they break up or something comes between them, the guys on the farm all chip in to solve the problem, they overcome their obstacles and get back together…..happy ending! In this case, the characters are Tyrone and Bart/Spider. Tyrone is black and not out to his family who are very anti-gay. He also has two loser brothers who are into drugs and don’t share his passion for bettering his situation. Bart (nicknamed Spider) is a drug addict running from his family and old life, who gets into trouble when he arrives in town. I had trouble sympathising with Bart’s situation. Yes, he had some parental problems but to drive him to drugs? Anyway, apart from the fact I thought he needed to take some more personal responsibility for his situation, he was still a nice guy. Most of the characters from previous books make a quick appearance around the dinner table, with Duane, Eli and Geoff, taking more of a role. So in summary, this series is sweet and comfortable reading, following a known and predicable formula which adds to the comfort. You just know you are guaranteed to read about wonderful characters who strongly support each other and aren’t afraid to show love. They won’t be perfect, they will have issues and things will go wrong. But love will win in the end with romantic, happy endings! Enjoy! For more information about Andrew Grey and his books visit his website. I’ve also reviewed quite a few books by Andrew Grey so don’t forget to check out those reviews on this blog. 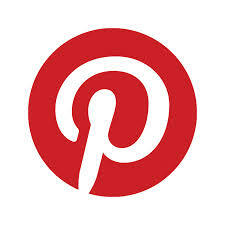 I just wanted to tell you how much I love your blog. The combination of the blurb, your review and sometimes a video is just great! I’ve been reading m/m for about a year now, so it’s still kind of new for me, and finding a blog like yours has helped me out a lot. Thanks so much for your kind words Kelly. It’s great to know that my blog is being enjoyed and the reviews are useful!